Takashi Kashiwabara is a Japanese actor that gained his fame through famous flims such as Love Letter (1995), Itazura Na Kiss (1996) and Hakusen Nagashi (1996). Many years had passed by and the pretty boy had grown into a matured and sophisticated man. Here are some of the things that you may be curious about this actor who shot to fame at the tender age of 17. 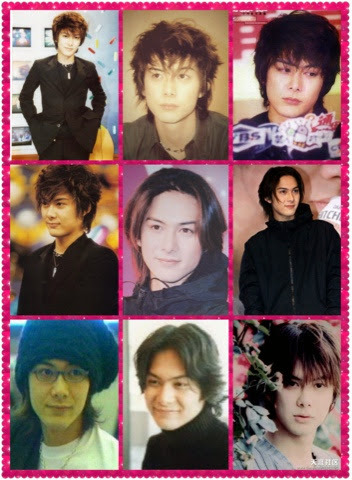 Japanese charismatic actor Takashi Kashiwabara was born in 1977 March 16. His birth place was in Yamanashi, Japan. 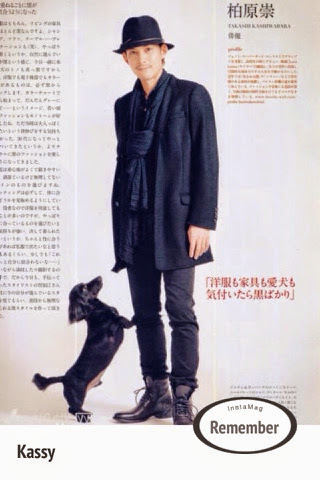 He has a younger brother who is an actor, Shuji Kashiwabara . His younger sister is Shiho Kashiwabara who has a age gap of 14 years. His father is an ordinary employee in a company, while his mother is a housewife. Based on his account, he was a self-proclaimed playful child and was often punished together with his younger brother. According to him, his mother is a cheerful person but is very strict with her discipline over her two sons. During interviews, he talked about her mother teaching methods and expressed gratitude to his mother for being strict with her discipline. Kassy claimed that he was an average student in school. He revealed that his results were moderately good in class. Surprisingly, he did not have many girls chasing after him during his school days. Kassy shared that he was shy and reserved, therefore he often lost the opportunity to begin a relationship. During Valentine's day, he only recieved a few chocolates. When he graduated from high school, only one girl asked for his second button. He shared that he even missed that opportunity. During an interview, he mentioned that he was once rejected by his first crush when he finally mustered the courage to confess his feelings. After reading through these articles, I wondered how can these ladies resist his charm? According to Kassy (his affectionate nickname), his photograph was send to the famous Japanese magazine by his mother's friend. He did not have any interest in the entertainment world initially. Kashiwabara Takashi frankly stated that his dream was to be a teacher or F1 driver. His mother have to tempt him with his then favorite food which was Ramen, in order for him to join the competiton. After eating his ramen, he did not have the desire to join the competition again. This time round, his mother who understand her son very well tempted him with money even if he will not win anything. In the end, he reluctantly participated in the competition and surprisingly emerged as the winner. He won the contest and took home his prized rewards. 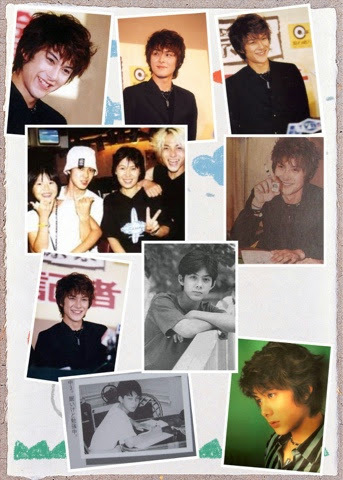 That was the beginning of his career in the Japanese entertainment industry. Kashiwabara Takashi did not have a smooth beginning in his acting career despite his good looks. During an interview, he revealed that he was often been criticized and scolded for the lack of acting skills by the directors. Due to these setbacks, he even thought of quitting showbiz. Fortunately, his acting career was revived by the next movie - Love Letter. He had a minor role in that movie as a "dead person". 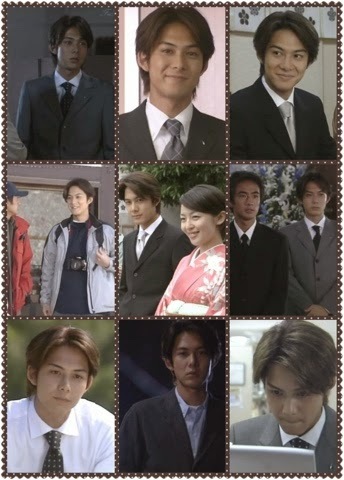 However, Kashiwabara Takashi nailed the role with sensitivity and perfection. He had since left a great impression to the audience through this artistic movie. As a result, Kassy and the cast won many awards. 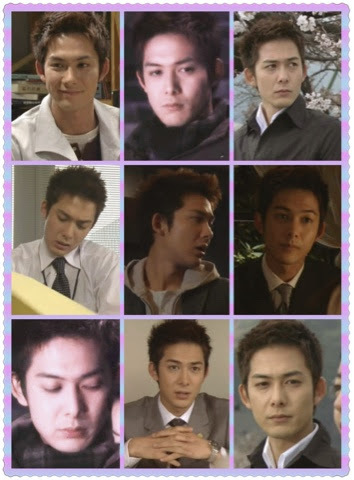 After that he continued his venture into success through other Jdorama. 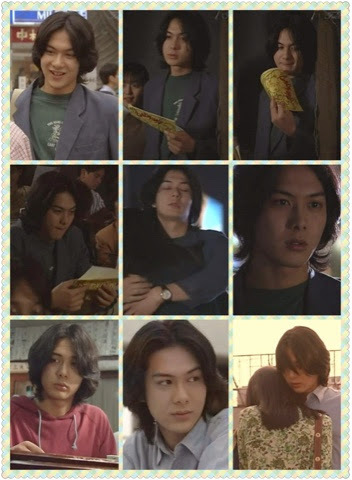 The most prominent character being his role as Naoki Irie in Itazura Na Kiss. Due to the huge success of this popular manga adaptation drama, Kashiwabara Takashi shot to stardom in Asian countries, especially in Taiwan. He was even amazed by his popularity when he first arrived at the airport. He cheekily revealed that he was treated like a (emperor) king during his stay. Kassy was widely regarded as a Japanese heartthrob during his heydays. He was even voted at the first place for the best first love category in magazines. His first fanmeeting at Taiwan was unfortunately cancelled due to the overwhelming and chaotic crowds. He expressed regret for not being able to meet his fans and he promised to come back again. Subsequently, he did honored his promise and visited Taiwan a few times. He was invited to grace some events and attended some variety show in Taiwan. Due to his rising popularity, he had recieved many work opportunities for commercials too. 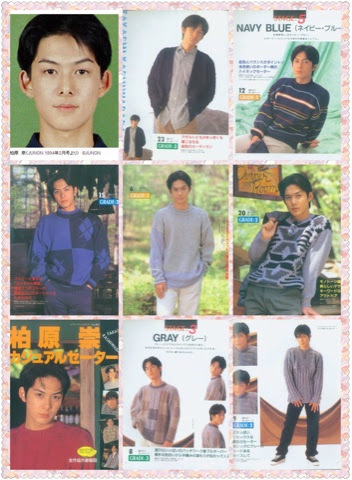 Hakusen Nagashi also known as White Line was a popular drama in Japan when it was broadcasted in 1996. Kashiwabara Takashi played the role of a bespectacled gentleman named Hasebe Yusuke who was romantically rejected by the female lead. 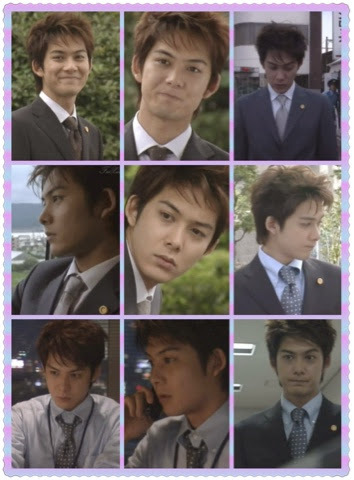 Despite being a second lead, Kashiwabara Takashi stole the show and the glamour from the first lead Nagase Tomoya with his charisma and brilliant acting skills. In season two, Kassy was spotted with a slightly long hair. Yusuke was lost and aimless in life. There were people who commented that he look very pretty with long hair. In the third season, Kashiwabara Takashi character Yusuke was finally back on track with his life. He was striving to be a lawyer and executed a sophisticated charm. He met his high school friends who had moved on with their life too. This was Takashi Kashiwabara in his twenties. I thought that if the female lead still do not love him, I will declare that she is blind. Indeed, the female lead proved to be blind since her high school days. Who can resist such a sweet and handsome boyfriend? He wholeheartedly waited for her since their teens! In contrast to that good for nothing first lead, I think this pair should have a happy ending. I was influenced by their earlier collaboration in Love Letter and wished that they will be together eventually. I understand that it was supposedly a painful one sided puppy love on Yusuke part. Is that script written to torture the hearts of many? Anyway, Yusuke became an outstanding lawyer but was confused with the principle of upholding justice and standing up for the poor and helpless people. This was the last season of White Line. Everyone in the cast had notably grown older. The same question that was repeatedly asked over the years, " Will Yusuke finally win the heart of Sonoko? No doubt, Kashiwabara Takashi will chose this drama as his favorite since he practically grew up while filming this series. It was a record of his growing up process. Amazing! Thank you so much for sharing this. I hardly find his personal information in the internet. I also fall in love with him for manmany reasons. I like the family photo.. aaa.. felt close to history family somehow. Hehe. 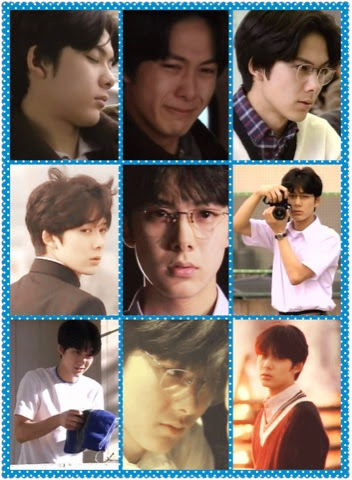 Honestly i only watch love letter (which i begin to see him as mysterious handsome boy )and then watch the short drama he was in. I honestly want to see him more now in drama or movie. Is He have kids with his ex wife? I thought he married with the female lead in love letter and white line.. both of them are totally look good for each other. Now, i felt want to watch the drama and all seasons but where i should find the drama? I know last year he appear in taiwan tv program and he will act in taiwan movie too right? I wish he have personal fan page so all fans can reach him. Thank you again for sharing! I can sleep well tonight. http://m.acg.tv/video/av1199161.html (please note that this series is in chinese subtitle). Kassy planned some activities in China. His ex wife is Hiroko Hatano, a retired actress/model. He did not have children with his ex-spouse.